It's a good thing I like my husband. I like him waaaay more than I like money. Which is a darn good thing because, in case you've been living in van down by the river and don't know, cancer is expensive. Even when you have been proclaimed cancer-free your life is still expensive. (I think that one way to get a real good fix to the health care system real fast would be to require everyone who is married and still in college to pay for college and radiation and blah blah blah that all adds up so when they see their bills they will revolt and then make a great change! Or maybe not). With CT PET scans and radiation treatments and then routine CT scans/check ups every three months (which the exposure to can cause cancer again later on!) your sort of swimming upstream. Thank the heavens for insurance, because his insurance is bomb dot com, but even if it only leaves you with a small percentage, a small percentage of a huge number is still big. Just sayin'. For example, the CT PET scan that simply proved his cancer was back last fall was over $12,000 (of which insurance payed a huge part) but really? $12,000 to tell me what the doctors already suspected and were pretty much positive of? (Dangling my participles, sorry.) We have been holding on real well and enjoying the ride for the last 2 and half years. Until now when we got the mighty fine pleasure of landing on boardwalk. You know in monopoly where your friend owns boardwalk and they have a hotel on it and you only have a tiny bit of property with no houses on it and no one ever lands on it and you know that the only way to stay in the game for long is if you get lucky enough to miss boardwalk every time and then pass go so that you get some monies to live off till the next time you hopefully miss boardwalk and get money from go again? But then eventually you find yourself on boardwalk. 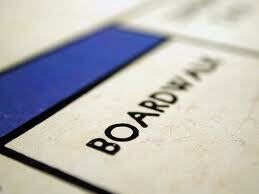 So you give your pittance to the landlord of boardwalk and walk out on that game because well who needs it anyways? You know, that feeling. Well sometimes when your a college student and cancer patient's wife (or in any number of other situations) you feel like that happens in real life, but what can you do about it except say, "well shoot!" and then just keep on going. Because really, its better when it happens in real life, because when it happens in Monopoly your totally destitute. Well I happen to be typing this on my macbook pro. In my warm apartment. Hence: not destitute. Great little essay girl. Love the analogy. So what bills showed up and how much? We love you both so much. You have the best attitudes, and it is going to pay off. Attitude is everything in this game called life, and you guys have the best kind. Keep seeing the best and keep looking UP. Amen Becky! And you're not alone! Kelly helped us get a little extra back from our tax return, we can help! Don't worry guys, we're good:) We just had his newest bills show up for all his apts recently. ick. Student loans here we come!